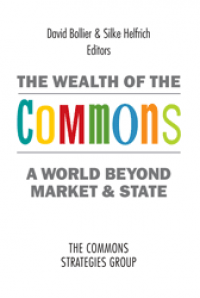 After more than ten years of thinking and writing about the commons, I decided that it was time to strike off in some new directions, with some new partners, projects and ways of engaging the world. 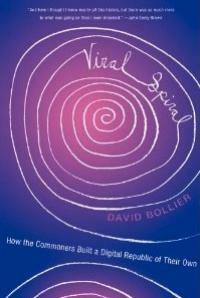 I plan for my new blog, Bollier.org, to be the place where I can share my adventures and insights from my work on the commons. A lot is going on that needs to be brought into focus, interpreted, shared and debated. I hope that this site can serve that function. 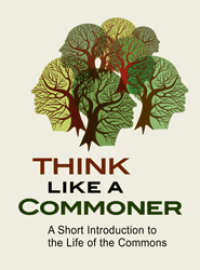 Never before has there been so much diverse leadership and innovation in developing the commons paradigm. The recent International Commons Conference in Berlin, Germany, on November 1-2 was a landmark convergence of many different approaches to the commons, from efforts to fortify traditional natural resource commons and pioneer "peer to peer urbanism" to new digital commons that aspire to develop a privacy-friendly alternative to Facebook, reinvent money and relocalize the economy. 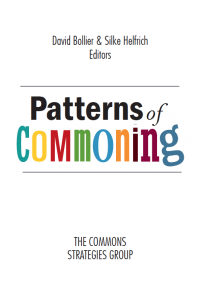 The upcoming conference of the International Association for the Study of Commons in Hyderabad, India, promises to showcase the many academics who are empirically investigating the commons and working with commons practitioners. 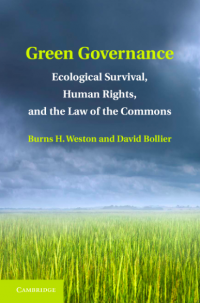 And now governments such as Brazil and Ecuador are starting to explore how their public policies can actively support the commons and commoning. Brazil's government is an international leader in promoting free software and free culture, and Ecuador is pushing its Yasuni-itt project as a way to avoid drilling a larger reservoir of oil in order to benefit its environment, native tribes and the global atmosphere. For me, it is a busy time. Besides co-organizing the Berlin conference, I recently completed work on a new film/DVD, "This Land Is Our Land: The Fight to Reclaim the Commons," produced by the Media Education Foundation of Northampton, Massachusetts. The film is chiefly intended for American audiences, and introduces the history and rise of the commons in a vivid way. On Sunday, there is a public screening at the local Amherst Cinema. I plan to blog about the film in future posts. As you will see, I am still shaking down the new website, powered by Drupal and built out by Sam Rose, Paul Hartzog and Richard Adler of the Future Forward Foundation. Thanks, guys! A tip 'o the hat, also, to Rob Labossiere for his appealing design for my site. I plan to upload more content in the coming days and weeks, and grow into the new home that I have for my commons work. Along the way, I of course welcome your suggestions and feedback. 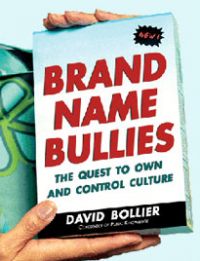 I am hoping that, notwithstanding the limitations of my time and perspective, Bollier.org will be able to convey the rich promise and diversity of the commons in the years ahead.